Needless to say, the next morning I did a bunch of research and, to my surprise, everything I read indicated that most people can consume up to three bananas a day. Whoa. What? When did that happen? Well the good news is that if you like bananas you can enjoy them on a daily basis because eating them in moderation won’t make you fat. They make a nutritious, healthy snack and provide the body with a good source of protein, little-to-no fat, and lots of vitamins and minerals. Bananas also contain trace amounts of AMINO ACIDS – important nutrients that are the building blocks of protein – including tryptophan which is necessary for healthy nervous system function and is one of the essential amino acids that our body cannot make and (relies on food sources or supplements). Blood-Sugar levels. Contrary to popular belief, bananas help to sustain blood sugar levels, not make these levels crash, and eating a couple of bananas before a strenuous workout may help to not only keep blood sugar levels more balanced, but also help improve energy output(2). They are actually listed as low-moderate on the glycemic scale, so they can be enjoyed regularly be diabetics. Some sources indicate that bananas may actually protect against type II diabetes(3). Regulating blood sugar levels also helps to improve mood in general (low blood sugar usually results in irritation and grumpiness). Muscle cramps and Spasms. Because of the potassium and magnesium they contain, bananas can protect against muscle cramps during workouts and at night-time. Digestion: The pectin in bananas helps to improve bowel function and gently helps to naturally regulate the bowels by alleviate constipation and/or diarrhea. 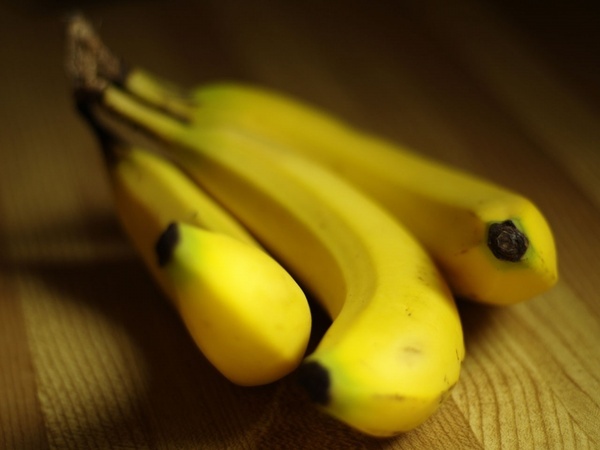 Further, the minerals in bananas help to replenish electrolytes lost during diarrhea episodes. Pectin also acts a “mop” for some heavy metals that might make their way into the gut. Bananas are also classified as a pre-biotic. Foods in this category help establish a healthy gut environment so that good gut bacteria can grow and flourish. Bananas can be soothing and healing to the mucous lining of the gut and are one of the few raw foods that can be eaten to relieve stomach ulcers (and not cause any undue distress). They’re also found to be a natural antacid and can provide relief for a variety of acidic conditions including acid reflux, heartburn, and GERD(5). Other. It seems the health benefits of bananas are endless. Because of the generous vitamin B6 levels found within them, when consumed as a part of an healthy diet they also help to reduce swelling and mild fluid retention. ALWAYS buy ORGANIC bananas. Why? Because bananas are among some of the most heavily sprayed commercial crops on the planet and regardless of what some people say, some (all?) of those chemicals DO get in to the edible part of the banana. 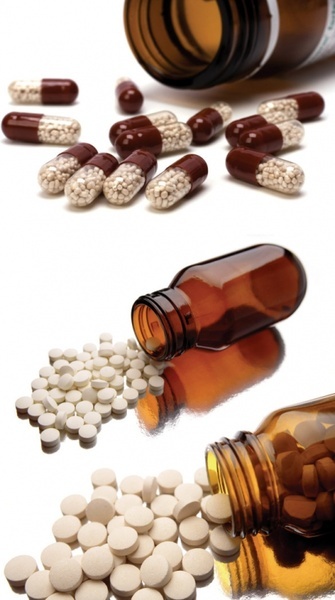 People who take certain medications – for example: beta-blockers (commonly prescribed for heart diseas e) and potassium supplements (prescribed when on diuretic medication) – should keep banana (and other high potassium-containing foods) to a minimum. Beta-blockers can elevate blood potassium levels, and potassium supplements provide good amounts of potassium to begin with, so eating too many bananas may (in some cases) contribute to higher-than-normal potassium levels which could be dangerous to health. If you’re taking these meds, you can probably enjoy bananas once in awhile, but certainly avoid eating them three times a day. As always, if in doubt check with your primary health-care practitioner. Nutrition Chart: Nutrition Almanac, Sixth Edition; John D. Kirschmann & Nutrition Search Inc.